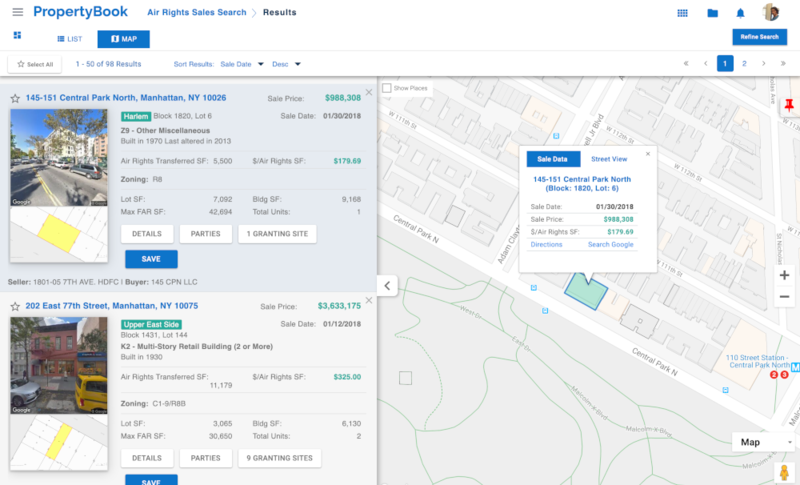 Search for air rights sales using a wide range of criteria options to find the best air rights sales for your subject. 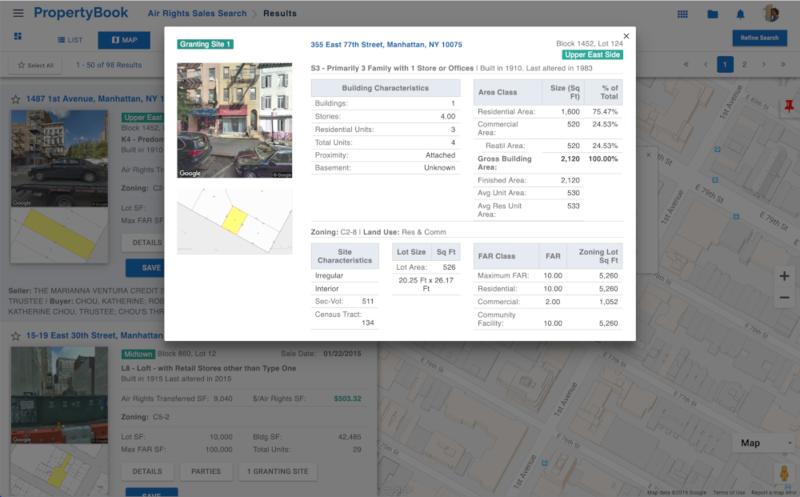 Analyze air rights sales search results by unit sale price per square foot of development rights sold. 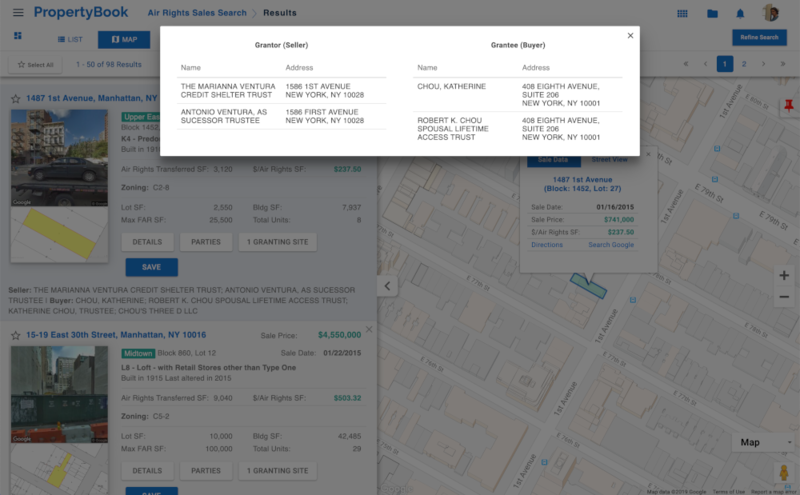 Comprehensive analysis of air rights sales including granting sites for each transfer of development rights. Get the detailed information that matters on the deals that effect you. 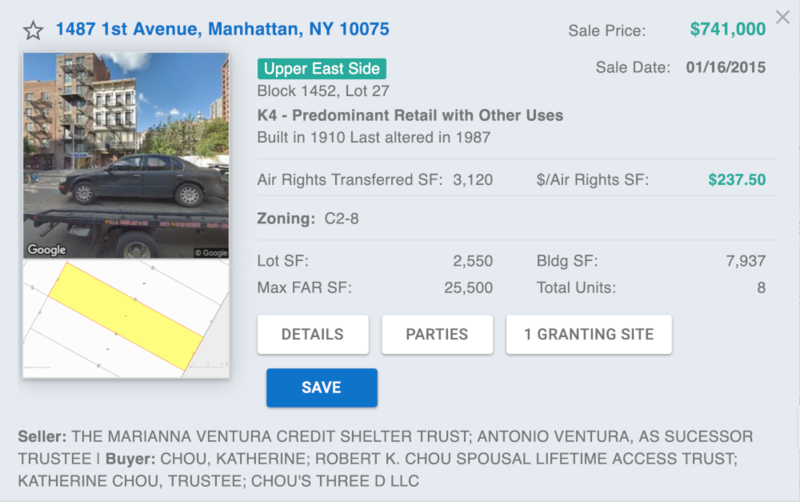 Allocation of Development Rights; Allocation of Unit Sale Prices; Financing Details, always linked to source documents.